With its rich cultural monuments, famous artists and thinkers, Azerbaijan is a treasure trove for cultured travelers. The multitude of museums and galleries makes country's capital city Baku a special destination for all art and culture. Whether you're looking for ancient artifacts or colorful paintings visit the biggest art museum in country. 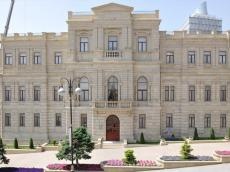 National Art Museum of Azerbaijan was founded in 1937 in Baku. The museum consists of two buildings standing next to each other. Over 3,000 items in 60 rooms are on permanent display at the museum. Moreover, about 12,000 items are kept in storage. The collection of National Art Museum covers a vast span of time: archaeological vessels date from the 6-4 millennia B.C., which were discover on the territory of the different regions of Azerbaijan such as Khanlar, Mingechaur and others, ceramics of the Middle Ages, bronze and copper wares of the 11th-19th cc., unique ancient carpets, jewelry, executing in the different techniques are kept in the museum. Approximately 9,000 scientific books and monographs, catalogues, albums and other professional literature in the library of the museum. The museum collection includes fine manuscripts about the Qur’an and 16th century books about astrology; original 17th-18th century Tabriz miniatures in tempera, gold water and watercolor; works by the celebrated artists Mir Mohsun Navvab, Mirza Qadim Irevani, Usta Qambar Qarabaghini, artistic metal items from the 16th and 17th centuries and samples of original fabric, embroidery, national costume and carpets dating back to the 18th-20th centuries. Moreover, art lovers can enjoy the examples of decorative-applied arts of Western Europe. Seven of the rooms in the first building feature European art, and ten rooms feature Russian art. Art works of Italian (Guercino, Leandro Bassano, Francesco Solimena, Lorenzo Bartolini), French (Jules Dupré, Gaspard Dughet, Pascal Dagnan-Bouveret, Jean-Joseph Benjamin-Constant), Dutch/Flemish (Frans Hals, Michiel Jansz van Mierevelt, Adriaen Brouwer, Adriaen van Ostade, Justus Sustermans, Pieter Claesz), German (Johann Heinrich Roos, Friedrich August von Kaulbach) and Polish (Jan Styka) painters are displayed at the museum. The second edifice built in 1885 houses Eastern art, represented particularly by Persian, Turkish, Chinese and Japanese art. Russian art is represented by paintings of Karl Briullov, Alexey Venetsianov, Vasily Vereshchagin, Isaac Levitan, Vladimir Makovsky, Valentin Serov, Vladimir Borovikovsky, Vasily Tropinin, Konstantin Korovin and Ivan Shishkin. There are also restored samples of Russian avant-garde. The works of Azerbaijani artists Mir Mohsun Navvab, Bahruz Kangarli, Tair Salakhov, Azim Azimzade, Salam Salamzade, Vidadi Narimanbekov, Mikail Abdullayev, Togrul Narimanbekov and sculptor Omar Eldarov are also kept in the museum halls. National Art Museum holds book miniatures of 17th-19th centuries, lacquered miniatures (18th-19th cc) and collection of sherbet spoons, made from mulberry tree. The first works were obtained from Saint-Petersburg, Moscow and private collections. The museum expositions were later exhibited in Canada (1966), Cuba (1967), Syria (1968), France (1969), former Czechoslovakia, Algeria (both 1970), Iraq (1971) etc. There is also a rare books collection of old publications. The museum changes the exhibits periodically. In 1936, the Council of People's Commissars of Azerbaijan SSR decided to separate the Art department from the Azerbaijan State Museum and organized it as an independent museum. Initially, the Art department was located in the former mansion of the millionaire Haji Zeynalabdin Taghiyev, where the Museum of the History is now located. The opening of the museum took place in 1937. After that, the fifth floor of the Nizami Ganjavi Literature Museum was provided to the museum. In 1943, the museum was named after the prominent Azerbaijani theater artist Rustam Mustafayev, one of the founders of the theatrical and decorative art of Azerbaijan. Until the early 1950's, th museum was located in several small historical mansions, where expositions and temporary exhibitions were organized. During this period, young art historians Rasim Efendiyev, Nureddin Gabibov, Mursal Najafov, Mehdi Huseynzade, and other scientists who laid the foundations of Azerbaijani art criticism worked at the museum. For many years, the museum was headed by Azerbaijani folk artists, laureates of the State Prizes of the USSR Salam Salamzade, Kazim Kazimzade, Ibrahim Zeynalov. In 1951, the building of the museum was replaced with the Baroque-style De Bour mansion built at the end of the 19th century. A new exposition was created in the new building. Subsequently, the museum became the center of art history. Various events were held here: jubilee exhibitions of artists, musical evenings, meetings with intellectuals, etc. The second museum building was opened in 2013. The museum is open from 10 a.m. to 6 p.m. Monday is the day off of the museum. National Art Museum of Azerbaijan is located on Niyazi str. 11-13, Baku 1001 (near Icherisheher metro station).